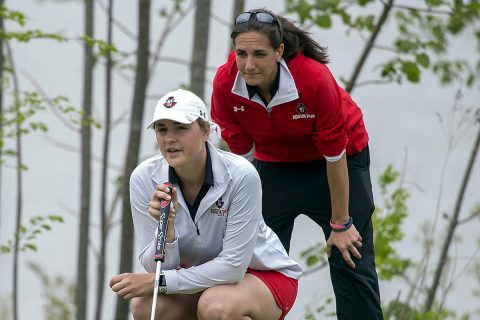 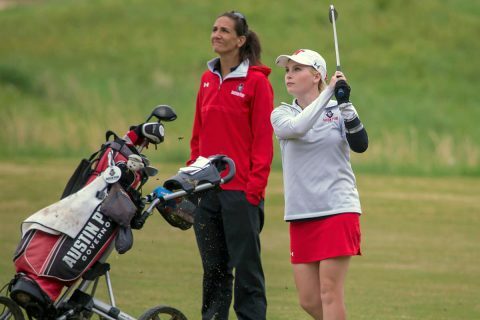 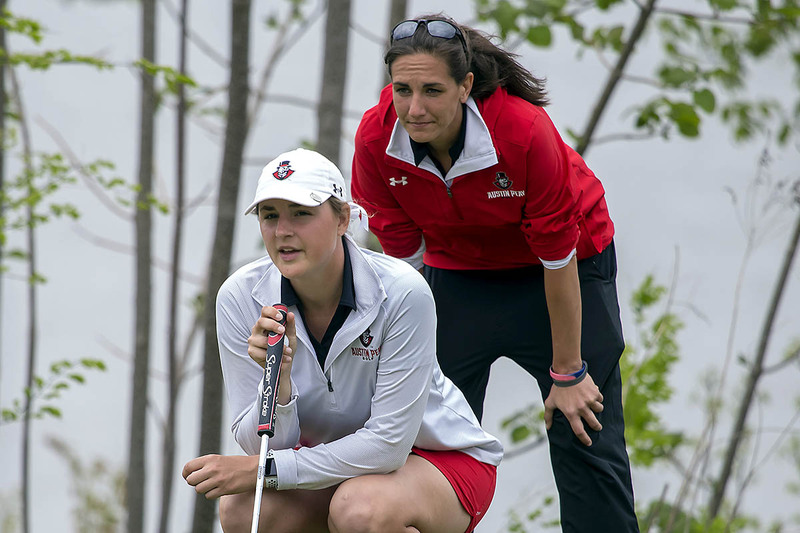 Glencoe, AL – Austin Peay State University (APSU) women’s golf junior Meghann Stamps remained near the top of the leaderboard, while senior Reagan Greene joined her in the top-10 on Day Two of the 2018 Chris Banister Classic at Silver Lakes Golf Club. 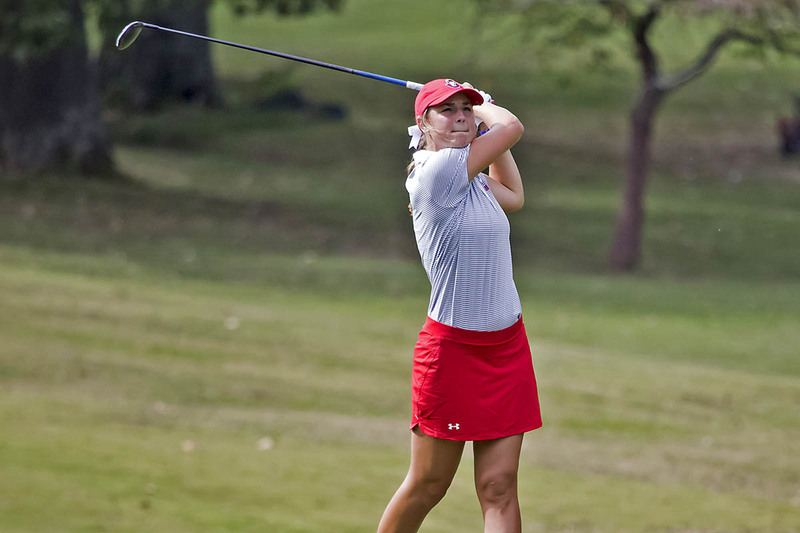 Glencoe, AL – Austin Peay State University (APSU) Women’s Golf junior Meghann Stamps offered a statement round to open the Chris Banister Classic at Silver Lakes Golf Course; the Hendersonville native is tied for second after the opening round, and her performance has the Govs in third after 18 holes. 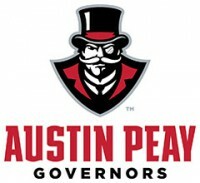 Clarksville, TN – Austin Peay State University’s athletic department had 37 student-athletes receive their degrees in the May 7th spring commencement, with many leaving their marks in their respective sports and in the overall history of Governors athletics. Two basketball players, Chris Horton and Tiasha Gray have been the face of the men’s and women’s basketball program the past four years. 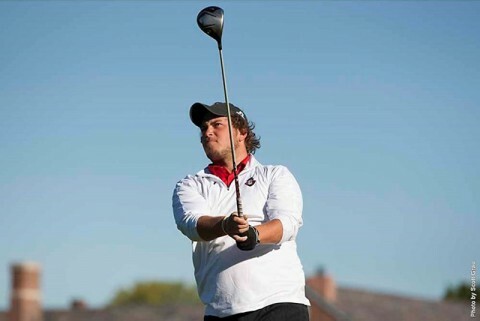 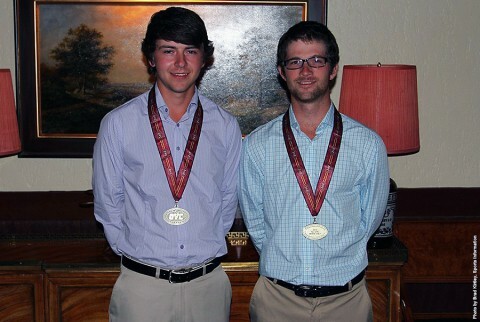 Muscle Shoals, AL – Junior Chris Baker, who shattered the Austin Peay State University single-round record with a 61 earlier this spring, has been named All-Ohio Valley Conference. Meanwhile, freshman Justin Arens, who elevated his play down the stretch while playing in all spring events, has been named to the OVC All-Newcomer team. 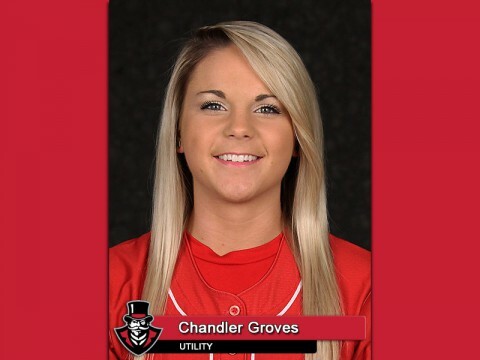 Clarksville, TN – Sophomore outfielder Chandler Groves, of the Austin Peay State University softball team, has been named the Copies in a Flash APSU Athlete of the Week. 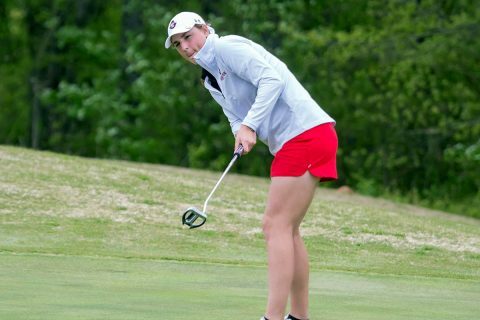 Groves hit .556 (10-for-18) in five games last week, smacking three home runs and driving in 12 from her spot as the lead-off hitter for an Austin Peay squad that went 3-2 on the week. 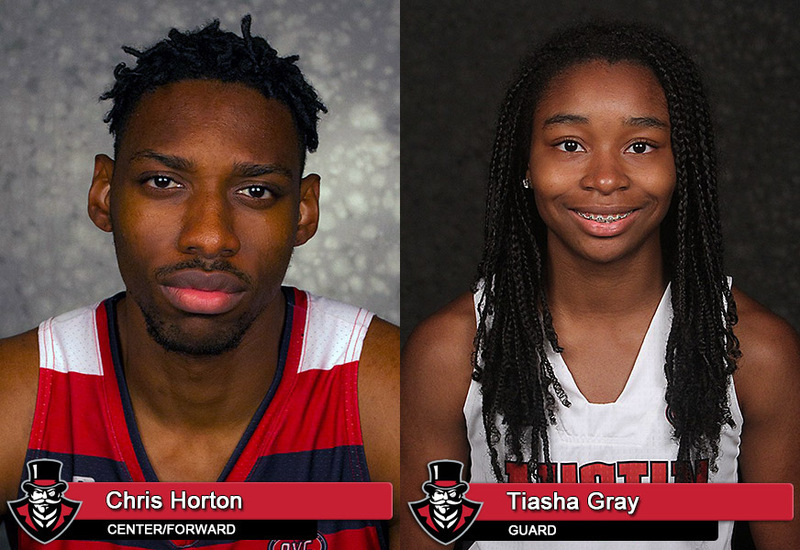 The Cross Plains, Tennessee, native collected multiple hits in four of five contests last week, scoring a run in four of five games as well. 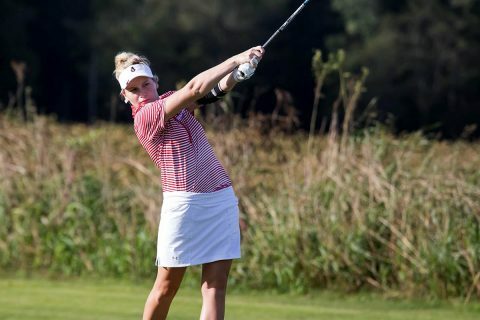 Chris Baker found out Tuesday exactly what Dickinson and Watson were talking about.